Futuremark released VRMark a new benchmarking suite designed specifically for virtual reality. Oculus and Valve also have their own virtual reality compatibility tests. But now with latest Futuremark benchmarking suite, you can check if your PC is VR-ready or not. The app gives you more details about how a VR game will run on your PC. The new benchmarking suite checks the system’s hardware against both the Vive and Rift’s minimum recommended specification requirements, as well as runs it through one of two live VR demos for the frame-rate check. 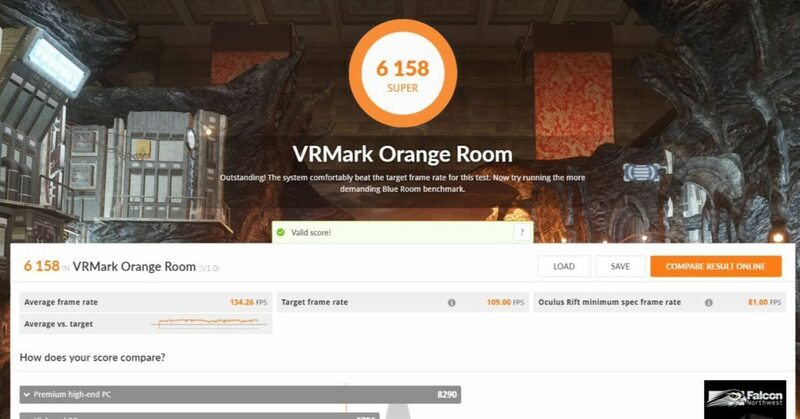 The VRMark benchmarking tool comes with two test Orange Room and Blue Room. The ‘orange Room’ test is the basic test most users will need to pass. On the other hand, blue room test is more advance, designed to simulate the highest fidelity VR experiences available today. If you have a VR headset, you can try VRMark “experience” mode for each of its tests. Experience mode allows you to view a virtual reality museum of alien UFOs and flying ships. The VRMark basic version is free and Advanced Edition will cost you $14.99. You can get more detail on VRMark and download link from here.